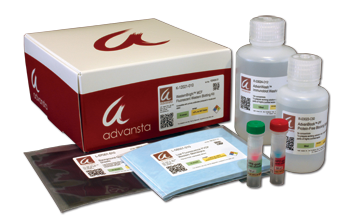 Three Ways to Study Protein Phosphorylation - Advansta Inc. Some studies suggest that up to 30% of proteins are phosphorylated in eukaryotic cells. Whoa. So chances are, if you study proteins, you are going to be examining protein phosphorylation at some point in your career. But how do you know which assay is right for your experiment? 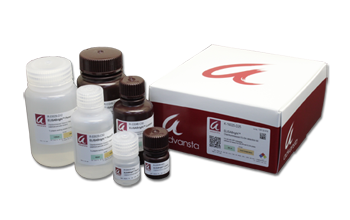 Here’s a basic run down on some of the assays out there to help you make a decision. One of the older methods for studying protein phosphorylation is the labeling of proteins with radiolabeled 32P-orthophosphate. The kinase will transfer the radiolabel to its substrate allowing you to detect activity. Typically, you incubate live cells with the radiolabel for a set amount of time prior to harvesting the cells, prepare cell extracts and separate the proteins by gel electrophoresis (+/- an immunoprecipitation step for a particular protein). You then dry the gel down and expose it to film or a phosphorimager screen to detect labeled bands. Radiolabeling works well if you want to determine if your protein is phosphorylated without knowing the site of phosphorylation or the kinase involved. You can also use it in a pulse chase format or during different experimental conditions to determine when phosphorylation occurs in vivo. Because the protein is exposed to both the kinases and phosphatases, you can also get a good sense of the steady-state level of phosphorylation. Radiolabelling tells you if your target protein is phosphorylated or gives you a general idea of kinase activity in a population, but it does not give you information about the involved kinase(s). Radiolabeling is labor intensive and of course, requires additional safety, regulatory and disposal conditions due to the radioisotopes. Also, you might need to expose your gel to film for days for adequate signal. Who has time for that? If you have a suspect kinase and/or substrate in mind, you can do in vitro studies by incubating the kinase with its substrate in a tube. To detect kinase activity, you add radiolabeled ATP and then quantitate the amount of incorporated label as a direct measure of enzyme activity. Alternatively, some companies offer fluorescent or luminescent kits that detect byproducts of the reaction, such as ADP. In vitro studies allow you to measure the potential activity of a kinase for a substrate and can be easily adapted for competition studies. However, they do not reflect actual physiological levels of activity that may be controlled by accessibility of the phosphorylation site by the kinase. They also do not take into account the competing activity of phosphatases or functionality of the kinases or substrates. The first phosphospecific antibody was described in 1981. The antibody broadly recognizes phosphotyrosine in general, independent of the protein. Since then, phosphospecific antibodies have been developed that specifically recognize the phosphorylated state of a particular protein. These antibodies can be so specific, that they can even discriminate between different phosphorylation sites on a protein (e.g. anti-phospho-MAP2 phosphorylated on serine 136). 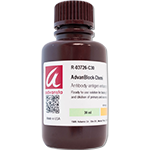 You can use phosphospecific antibodies in Western blots to determine the phosphorylation state of a particular protein. 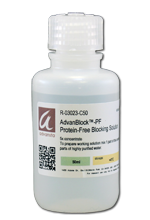 When probing a blot using a phosphospecific antibody, stay away from milk as a blocking agent. Milk contains phosphoproteins that can interact with the antibody. Western blot phosphorylation studies can be highly quantitative when they are performed by multiplexing multiple fluorescent antibodies. 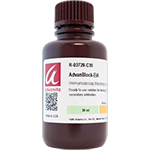 If you have a lot of samples to analyze and want to perform a quantitative assay, then you can do an ELISA with your phosphospecific antibody. These assays can be highly specific as the capture antibody recognizes the protein independent of its phosphorylation status, while the detecting antibody detects phosphorylated protein. Alternatively, you can use flow cytometry or immunohistochemistry/immunofluorescence to examine phosphorylation status on a cell-by-cell basis or investigate the cellular location of phosphoproteins. There are other ways out there to study protein phosphorylation, including mass spectrometry analysis, but these are just a few to get you started.